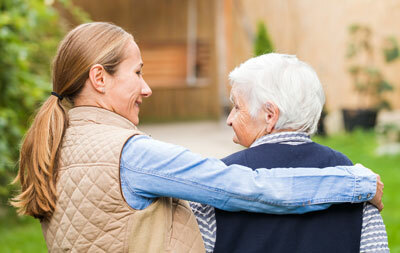 Finding a home care provider for yourself or a loved one is an important decision. Researching and understanding the process is important, so you can stay comfortable and informed. Here are a few key things to consider when choosing a home care provider. Do I need a Home Care Provider? First, it is important to make sure a home care provider is the best choice for you or your loved one. Home care providers help people who can’t perform certain activities in their day-to-day lives. Providers assist with things like housekeeping and cleaning, shopping for groceries and preparing meals, assisting with personal hygiene, driving clients to appointments and errands, and helping people move around their house. Additionally, they provide company and support throughout the day. For patients who need round the clock personal care and help, a home care provider is often the best choice. This relieves the burden of care from family members who may not be able to be there 24/7. Should I Work With an Agency? Agencies make the process much simpler by providing several key benefits. They handle the hiring/firing and pay of home care professionals, dispute resolution, insurance, and replacements if your care provider is sick or on vacation. If you hire a home care provider yourself, you will have to handle things like pay, taxes, sick replacements, scheduling, and more. Are They Properly Trained and Certified? The level of training home care providers receive varies due to state regulations and agency policies. It is important to research and ask agencies about the training and certifications their employees receive. Check and make sure they are compliant with state education and training requirements. At Sunrise Services, we make sure each of our home care aides is well trained. Our aides are fully compliant with Washington state law, and are given extensive education and training. Are They Committed to the Health and Well-being of Me or My Loved One? At Sunrise Services, we believe that our care providers not only have a duty to taking care of their patients’ health, but also to support their happiness and wellbeing. Our care providers work to manage their clients’ time and activities to encourage the pursuit and development of personal interests. A good home care provider measures success by how happy and healthy their clients are. Good home care results in a better situation for clients and their families by providing support where it is needed. This means holistic care that isn’t only focused on the physical health of the client and on completing a list of tasks. Rather, quality care is focused on learning about the client and providing the support and companionship they need. Can You Trust Your Home and Loved One With Them? If you are working with an agency, reputable ones perform background checks on their caregivers. Before hiring anyone, ask and make sure that their caregivers are properly trained and that background checks are used. It is also important to read reviews and research the agency’s reputation. Once you have chosen an agency it is still important that you are happy with the caregiver they provide. It is critical that whoever is caring for you or your loved one makes you comfortable. Working with an agency gives you control over caregiver selection, allowing you to ensure that you find someone that puts you at ease. If you aren’t immediately comfortable with your caregiver, give them a day or two to see if you warm up to them. But ultimately, if you are not completely comfortable, request that the agency send someone else. Sunrise Services has been in business for nearly 40 years. We pride ourselves in offering quality services focused on real individuals. We strive to provide genuine compassion, care, recovery, and hope. Sunrise offers quality care for the elderly, and those with mental, developmental, or physical challenges.